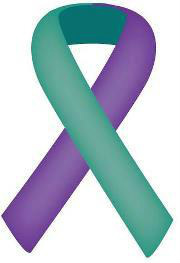 A domestic violence and sexual assault prevention and awareness program that assists victims and survivors. Safe Space is a not-for-profit organization that is funded through a combination of grants and private donations. If you wish to help fund the services of Safe Space, please click here. Safe Space is so excited to see new collaborations and partnerships coming together this year. Our staff is busy with clients, educating the community, and finding new ways to provide the best services to our area. Thanks to its volunteers and supporters, Safe Space of Butte continues in its efforts to make the community aware of sexual assault and domestic violence dangers, and prevention efforts. For information not found on this website, questions or to seek services, please call our office at 406-782-9807 or our 24 hour crisis hotline at 406-782-8511 to speak with a trained advocate. Our weekly support groups for Domestic Violence are now held on Tuesday's from 5:00-6:00 pm. Children's group is offered to those whose parents are attending the support group. Please contact the office line at 406-782-9807 for further details and information on where the groups are held. To those in the community kind enough to donate goods to our shelter, thank you for your help! Here is a list of some items we could use. This list is by no means all inclusive. Any donations are always welcome. Please checkout the Online Wish List button to the right for a more in depth wish list.This online wishlist is possible through domesticshelters.org and they will ship these supplies directly to us, for free, with a $50.00 purchase. Everyday Household items such as: disinfectant, room spray, hand soap, swiffer duster, batteries, and light bulbs, mops and brooms, garbage bags, paper towels, kleenex, etc. We do accept furniture donations. However, we are unable to pick this donation up. Please call 406-782-9807 to speak with an advocate before you bring the furniture up. Sign up here to receive quarterly updates!